Nigel Jordan got his idea for Twigs Naturals from his dislike for his Grannies “bush tea” and his mom’s recommendation to use ‘this bush or that bush’ as medicine for every ill or sickness. He always maintained a kitchen garden and from his use of different herbs, spices and bushes Twigs Naturals was born. Currently Twigs Naturals has a line of 12 different herbal teas and 4 tea blends. 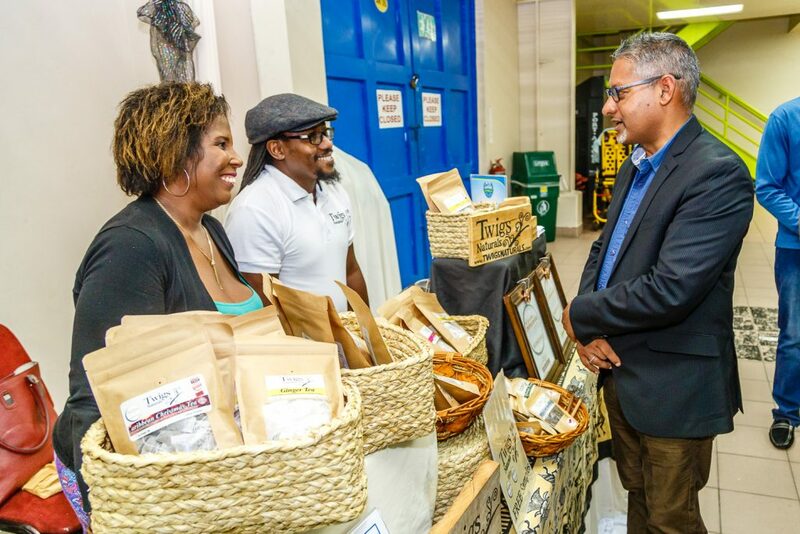 One of his tea blends, the Caribbean Christmas Tea recently won second place at the Global Tea Championship 2017 and his Mint Tea took third place. Nigel also recently received Certification as a Level 1 Tea Specialist from The Specialty Tea Institute. When the Business Hatchery team first engaged Nigel, his determination and passion about his products were evident. He was already engaging customers and selling his teas to a small network through word of mouth marketing. Nigel was open to learning from the team and expressed his need for assistance to grow his business; he especially required assistance in Accounting and Finance. The segment on Intellectual Property Rights assisted Nigel tremendously with business registration, copyrights and trademarking knowledge which proved to be both beneficial and necessary for his recent trip to the Global Tea Championship in Las Vegas. He has further stated that ninety percent of what’s happening in his business now has Business Hatchery mindset, knowledge, concepts and tools influence, “I did not expect the programme to open my mind to so many things,” Nigel admitted. You can find Twigs Naturals on the shelves of Price Club Chaguanas, Fresh Organics in Maraval, Live Green Woodbrook, Novela Café Fredrick Street, Herbs and Health in Gulf City and Organic Life in Tobago, Veg Out on UWI Campus and Tablespoon Café on the Eastern Main Road. Tamith Griffith’s home-style seasonings and sauces business, Ultimate Flavorz manufactures a unique authentic line of pepper sauces. It is a fusion of Tamia’s culinary skills and a cherished family recipe. Her line currently boasts of mouthwatering flavors such as Ginger Spice, Pimento Fusion and of course Original Homestyle Pepper Sauces. 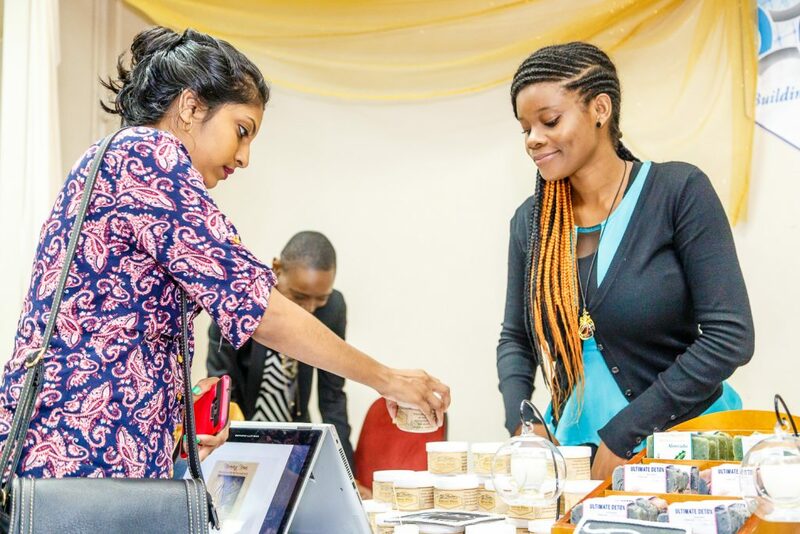 Tamia is very passionate and committed to her business when she started the Business Hatchery programme she was dedicated to molding and developing her products, strengthening her networks, mentorship opportunities and evolving her business model. 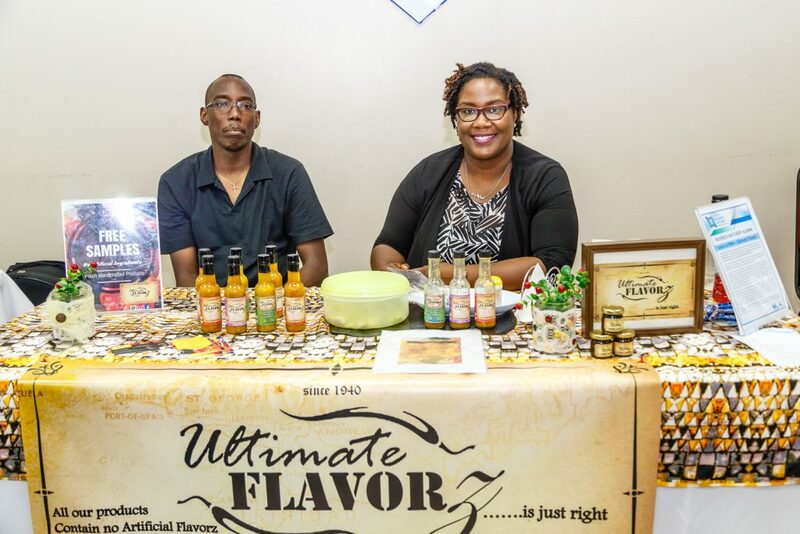 Ultimate Flavorz products can be found at Blooms Imports in Diego Martin and The Shop in Normandie Hotel, Sweet Nothings in Trinicity Mall, Market Movers Online and Peppercorn West Mall and Ellerslie Plaza. Colleen Cameron, founder and CEO of Caribbean Concoctions has a deep passion for indigenous delicacies and candies. Her business offers the repackaging of these delicious sweets and candies which she purchases from external suppliers and resells at craft markets and expos. Caribbean Concoctions also offer catering services, gift baskets and dessert stations for weddings and events. Colleen was unsure of how to position her business in the market to reach her target audience; she was also having difficulties with identifying the value proposition of her business. 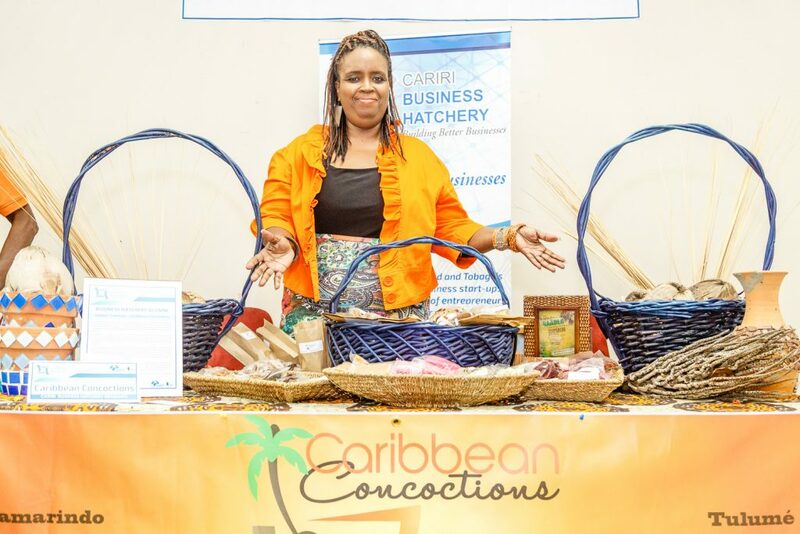 Upon commencement of CARIRI’s Business Hatchery programme, she indicated she was having problems in translating her passion for her business into a viable business entity which maximized its growth potential. 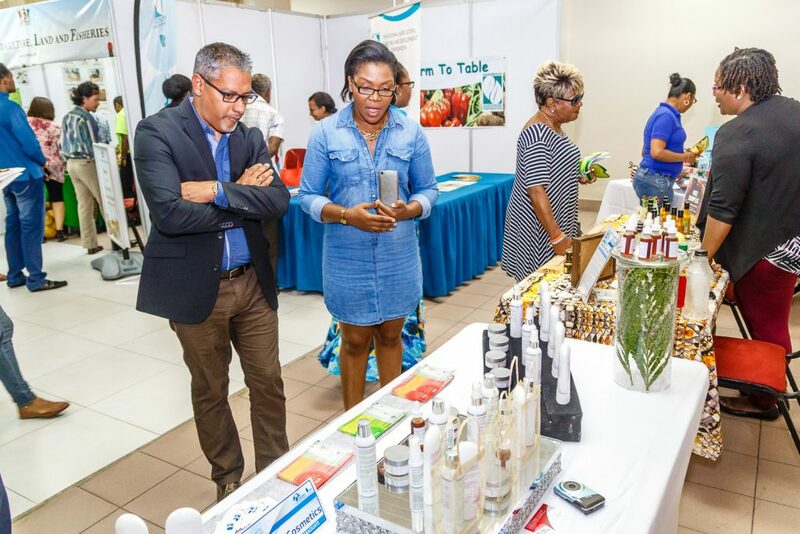 Colleen currently showcases her products at various COURTS outlets throughout Trinidad and Tobago aside from up markets and expos. Sisters Lyndi and Lynissa Jordan operates a family owned agriculture and winery estate in the community of La Fillette. Aurora Bitayson Ltd. focuses on growing mainly tree crops such as citrus, mangoes, avocados and more for wholesale and retail sale. The sisters incorporate some of the fruits from their estate to produce their own line of organic artisan fruit wines and syrups/jellies. Their formulas are three generations old with new food technology techniques being implemented as the business develops. Lyndi and Lynissa applied to CARIRI’s Business Hatchery programme seeking to grow their business to a commercial level with a goal of exporting their products globally. They cite the Business Model, Marketing and Accounting and Finance workshops as pivotal in helping them to ‘zone in’ and focus on the needs of their business. The opportunity to pitch to our external business panel at the end of the programme offered an independent perspective and gave the sisters additional insight and recommendations for their business. They admit to still using daily the tools and skill-sets learnt in the Business Hatchery Programme from the Business Hatchery team. 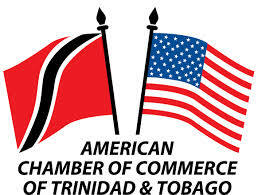 “Most of the programme was an eye opener, I did one business programme before but…the way CARIRI has structured the programme allowed us to actually become more involved in our business…it is very different from other existing business programmes. Since the Business Hatchery programme I am more aware of marketing strategies of other products and constantly thinking of innovative way to market ours” says Lyndi. 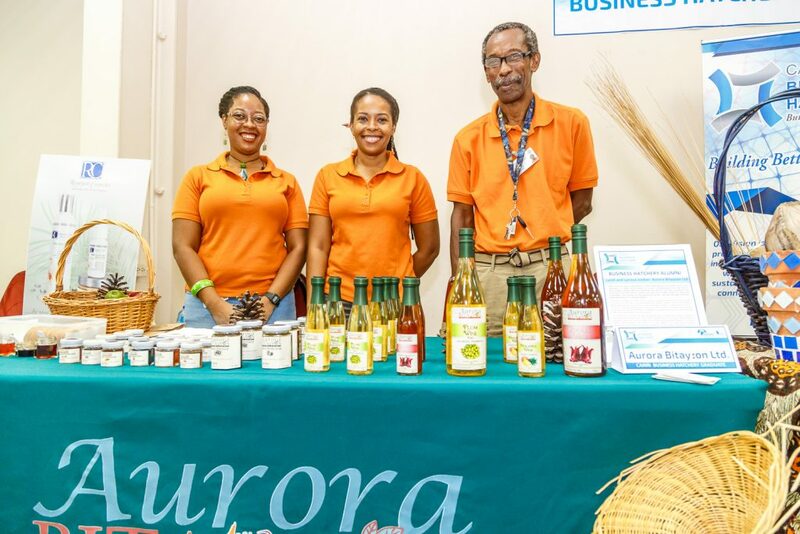 You can find Aurora Bitayson products currently on shelves at Medicine Shops in Maraval. King’s Specialty was born out of Regina’s deep passion to create a legacy from a family tradition of creating Christmas treats and drinks. Regina paired her family traditions and recipes with a ‘modern twist’ and created a variety line of flavored Ponche de Creme and Liqueurs infusing locally sourced fruits, herbs and spices. When the Business Hatchery team met Regina her passion was evident and she had established realistic goals for her business. However, by her own admission, she was “looking for a way to take her business to the next level.” From the onset Regina indicated she needed assistance with Market Research, Accounting and Finance and identifying and articulating her Value Proposition. She benefitted from all the Workshops within the programme in closing the gaps on those initial difficulties, the Market Research workshop specifically helped with her pitching techniques and the workshop on Value Proposition taught her of the importance of doing more research to understand trends, competitors and to make her product unique. Shenelle Hills-Fife the creator of De Jeunesse Bath and Body, fashioned a unique bath and body business which produces rich quality handmade bath and body products from natural materials. De Jeunesse offers a wide variety of customizable products inclusive of artistic soaps, massage oils, body and butter creams and other gluten free products. De Jeunesse products can be found on the shelves of Excellent Stores, Organic Heaven in Maraval and at up-markets and craft expos. “The Business Hatchery modules, taught me, what I did not know, but needed to know to run my business efficiently and effectively”– Ramona started in the Business Hatchery Programme with a dream and passion. All she knew was she enjoyed coordinating concerts for unknown artistes and bands to showcase their talents. She admits she had limited finances and a fairly good understanding of the risks involved in running a business. 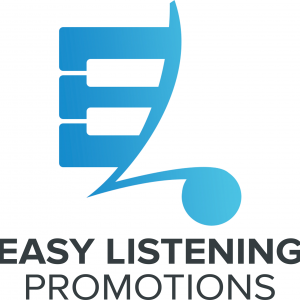 Her company, Easy Listening Promotions provides underground bands and artistes with a stage to perform and an environment to network. Ramona knew what she wanted to do, and she tried twice before enrolment in the Business Hatchery, but with little to no success. The both times she held her concerts she ended up in the ‘red zone’. She knew she needed help with running her business so as to make a profit rather than a loss. She also wanted to do market research studies to test the market demand or rather market response to what her company was offering. Ramona was subsequently accepted into Cycle 5 of the Business Hatchery Programme, which commenced in August 2015. “The Business Hatchery modules, taught me, what I did not know, but needed to know to run my business efficiently and effectively, everything that was taught is what I needed to know at that point in time” said Mrs. Totesau-Peters. She further shared that, “I wanted to be an entrepreneur, I did not consider myself an entrepreneur until commencement of the Business Hatchery Programme. The tools taught and the knowledge gained from the Business Hatchery allowed me to understand the difference between an entrepreneur and a businessman, I am an entrepreneur”. Ramona acknowledges that the Business Hatchery Programme enabled her with understanding of business fundamentals, and all the modules taught were practical, she was able to implement what was taught in the workshops almost immediately in her business. She shares that her favorite workshops were the Value Proposition and Base Case Analysis, Accounting and Finance for Start-ups and the Business Model Canvas and was eager to state that the implementation of Business Pitching from the onset of the Programme continuing to the very end assisted her tremendously in improving her pitching skills and boosting her confidence to be more comfortable pitching her business to anyone, at any given time. She credits the Value Proposition segment with helping her to differentiate her business from similar businesses in the market thereby using this knowledge to her advantage when pitching to different audiences. Ramona insists however, “one of the most valuable assets of the Business Hatchery Programme is in the weekly one-on-one business coaching sessions afforded to all clients, it was during these sessions everything came together for me, the dots connected and everything started making sense, the coaches were understanding, supportive and inspirational in every session.” She also said being in an environment with other like-minded persons, learning from them and receiving their support, and being able to network and be part of the alumni community proved invaluable to the growth and continuing success of her business. 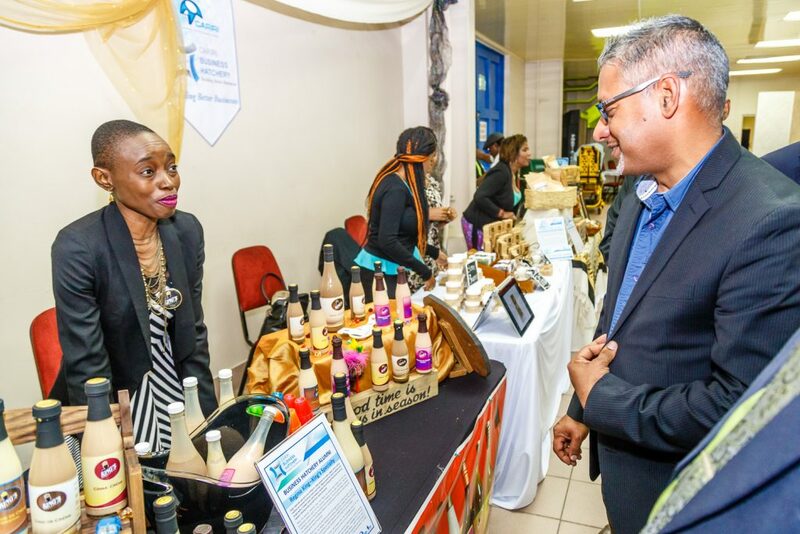 Upon completion the Business Hatchery Programme, Ramona was recommended for CARIRI’s Mentorship Programme, which is offered to selected graduating Business Hatchery clients free of charge. It is a 6-month mentorship Programme where clients are paired with a Mentor in an area where it is deemed the Mentors strength will be valuable for further development of the client’s business and entrepreneurial spirit. She describes the experience of being a Mentee as rewarding and necessary in propelling her business to its current stage. “The Business Hatchery programme is a win-win situation, there is nothing to lose from participating in the programme, even if you think you know what is going to be taught, you will be surprised at how much you will learn from the facilitators, other clients, and content of the Programme” says Ramona. Since completion of the Programme, Ramona has been implementing the tools learned in organizing and producing her concerts, which she has admitted has significantly reduced her learning curve. She has held two successful concerts thus far, and has received great feedback from patrons which she plans to implement in her next concert to continuously keep her customers pleased as their needs are her top priority. Veronique Walters has worked for many years as an esthetician, it is through her experience in this field she noticed some skin-care product lines produced little to no results on the skin of women living in the Caribbean. She started in-depth research for a deeper understanding of ingredients and formulas for skin care products and thus expanded her knowledge of skin care. Armed with this new found knowledge and a desire to please her clients, Veronique Walters created Resurgent Cosmetics. A cosmetic line created specifically for Caribbean people, targeting the needs of skin of color. She became more aware of how important marketing and on-going marketing research is to a business and more so how to analyze and implement the data received by customers into your business. Veronique admits, coming into the programme she was stuck for a while trying to figuring out the value proposition of her business as many other skin care lines existed. It was not until completion of the programme after her one-on-one coaching sessions and the cultivation of an entrepreneurial mindset through the Workshops she gained clear understanding of her business value, the value she is giving to her customers and how to articulate her value proposition effectively. Founder of La Sher Catering and Head Gourmet Fudge Innovation Specialist, Sherry Stephens owns and operates an exotic gourmet fudge business. Sherry introduces, through her innovative fudge recipes Trinbago style flavors meshed together perfectly in a smooth creamy texture. She boasts, “unlike other fudges when you taste a La Sher Gourmet Fudge, for example Banana-Walnut, it would taste exactly like banana yet have the rich caramel flavor of walnuts”. When we first met Sherry as part of the Business Hatchery Programme (BHP) in July 2017, she was (and still remains) introverted in personality but resilient in her business endeavors. She shared that her passion for fudge making stems from her childhood love for the delicacy. “Growing up I always loved fudge, I would use my last to purchase fudge and it was always so expensive… but you never seemed to get value for your money. It was usually a disappointment, either too sugary or lacking milk or that coconut flavor”. When Sherry commenced the Business Hatchery Programme, she had three basic fudge flavors, Coconut, Ginger and Ginger-Coconut. During her time with us in one-on-one coaching sessions she was given guidance and assistance which allowed her to innovatively develop thirteen additional flavors. 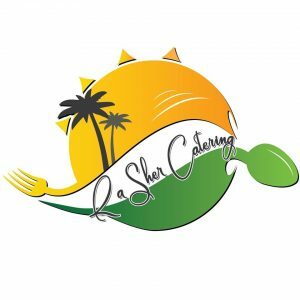 Today, La Sher catering has in their recipe catalogue over fifty unique, tasty and popular gourmet fudge flavor recipes. Aside from one-on-one business coaching, Sherry believes the BHP Marketing and Research Workshop was most helpful in educating and assisting her to develop and analyse market research strategies and results respectively. Her ability to conduct “proper” market research led to a deeper understanding of her target market and their needs. Sherry always ensures that her products are relevant, she consistently works to improve her customers fudge experience; “this is my number one priority” she says. She now uses social media strategically to aid in growing her business and to connect with existing and potential clients. She admits, when she first came to the BHP she had no idea what to expect, “I just wanted to be better at business, I was tired of doing it on my own and getting burned…I want to gain confidence, I wanted for someone to listen to my creativity and help me turn it into a viable and sustainable business”. The Accounting and Finance Workshop proved to be exactly what Sherry needed to grow a financially stable business. The weekly one-on-one coaching sessions worked perfectly for Sherry’s business needs and personality. She was excited to let us know “the environment and Programme facilitators helped a lot… to be able to talk to like-minded entrepreneurs who are not doing the same business as you, and get critique from them and help them too, as well as bounce ideas off each other, was one of my favorite aspects of the Programme… being able to help them better their business and have them help you in return was most valuable, they were able to give me ideas of where my products would sell well”. She further stated, “one of the most important questions the BHP asked me, that keeps me going and I ask myself all the time is, “Why, why do you want to be in business?” Coincidently this is the first question she asks the persons she continuously recommends to our Programme. Her last piece of advice for entrepreneurs or persons looking to go into business, “sign up for the Business Hatchery, it is a platform in which you learn to dig into your unknown talents and experiment with things you always thought possible but were afraid to try because no one really believed in your vision”. You can also, almost, always find her in a Market or Expo in your area or the NAMDEVO Farmers Market, San Fernando. 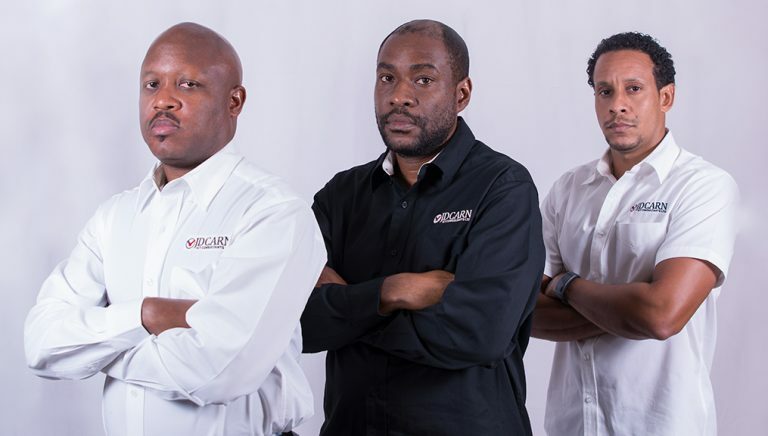 When the BH Team engaged Kerri Smith (Director, Engineering and Information Technology), Kevin Pinder (Director- Telecom Services) and Nigel Phillips (Managing Director) of JD CARN ICT Consultants Ltd. (JD CARN) in July of 2017 their passions and skills for/in their industry was undeniable. Collectively these gentlemen risked management jobs at high profile corporate entities to pursue passion and start their entrepreneurial journey. JD CARN is in the business of telecommunications delivery and ICT services, using workflows built upon solid project and quality management foundations which save time and money. At the time prior to commencement of the BHP, Nigel Phillips admits they had all the technological knowledge, experience and entrepreneurial drive needed to support JD CARN but they made costly mistakes on the business side. They lacked the business development know-how and structure to make the most of their skills as a collective. Both Nigel and Kerri agreed the knowledge gained from the BHP taught the importance of developing a Marketing Plan (which was new to the team) and monitoring same. This allowed them to identify new targets and strategically integrate social media strategies into their overall Marketing. JD CARN identifies the Business Model Workshop and the Business Model Canvas as their “greatest benefit” from the BHP. The Accounting and Finance Workshop were also key in understanding financial accounting ratios and KPI’s that should be monitored on a regular basis. “One of the major issues for us was pricing and how exactly to develop our pricing…one of the tools (from the BHP) that has remained a key component of our project assessments now, is the break-even analysis tool…we use it all the time.” (Nigel Phillips). When developing a new product or service JD CARN uses the Business Hatchery structured approach and take the product/service from zero to one. Since graduation from the Business Hatchery Programme JD CARN has expanded its services to Guyana, under their subsidiary JD CARN ICT Guyana Inc. They have successfully delivered numerous projects and have on-going projects and consultancy contracts in Guyana. Their future plans include expansion into regional markets across various sectors (namely Building Construction, Utilities, Oil and Gas and Mining) and to continuing working on establishing JD CARN as a thought leader in the Telecommunications and IT Engineering industries, locally and internationally. You can connect with JD CARN on Linkedin via JD CARN ICT Consultants Ltd.